As a Nurse Practitioner with over 25 years of diversified medical experience, I have expanded my scope of practice and training in Aesthetic products and techniques dedicated to patient care. My training at the THMA Consulting in Toronto, ON has equipped me with the training and knowledge necessary to provide Medical Aesthetic services in an ethical and safe manner. At Sense of Rejuvenation, it is my privilege and priority to exceed my guests expectation to look good and feel even better. It is my commitment to provide professional, non-surgical treatments in a comfortable, safe environment while ensuring my guests will receive the highest standard of Aesthetic Services. Botox is the most common injectable treatment used to relax and soften facial lines caused by muscle movement. It is most often used on forehead lines, crows feet and frown lines. Belkyra treatment can eliminate submental fat or what’s commonly known as double chin. A quick and easy treatment, Belkyra is effective in reduction of fat in the jawline, neck and under the chin. Cost is dependent on area size and approximately 1-3 treatments and 4-6 weeks apart. Platelet Rich Plasma is an excellent treatment for Hair Restoration and Facial Rejuvenation. With its healing and cell growth capabilities, PRP resolves dark circles and hollows around the eyes, improves skintone and texture. Treatments approximately 2-4 weeks apart and 1 treatment in 6 months. Botox is the only Neurotoxin that is approved for injection in the armpit to reduce Hyperhidrosis (excessive sweating) so you can confidently wear the clothes you want. 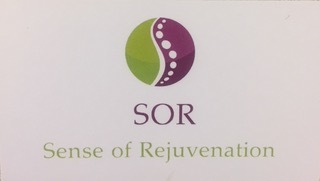 This fee is paid at time of booking and can be paid by etransfer to senseofrejuvenation@outlook.com or by Visa. This fee will be deducted from treatment cost if completed on that date.